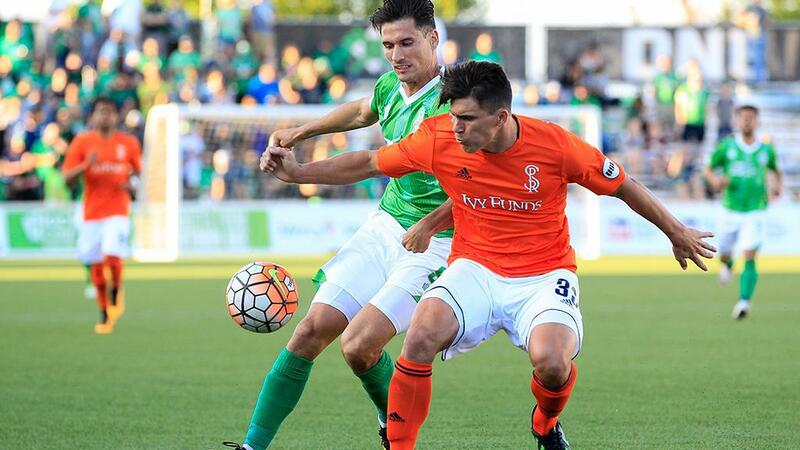 OKLAHOMA CITY – OKC Energy FC has acquired Swope Park Rangers defender Jacob VanCompernolle on loan for the remainder of the 2016 USL season. Under the terms of the loan, VanCompernolle will be ineligible to play against the Rangers in the two remaining meetings between the teams this season. The 22-year-old returns to OKC after spending his rookie year in 2015 with the club. VanCompernolle made 23 appearances for Energy FC in the regular season, and received only one yellow card in more than 2,000 minutes of action as he helped the team reach the Western Conference Final in the 2015 USL Playoffs. VanCompernolle joined the Rangers in early 2016, and has made nine appearances for the team this season, logging 650 minutes. The Dallas, Texas native started in the Rangers' opening two victories against Portland Timbers 2 on March 26 and Tulsa Roughnecks FC on April 2, where his performance earned him a spot on the USL Team of the Week for Week 2.